As you may or may not know, when you blog, you get approached by a variety of people offering their services or asking you to promote their wares. They can range from the slightly obscure to the downright dubious, trust me! As a rule of thumb, I rarely agree unless it is for something that I think you, my friends, will find of interest. 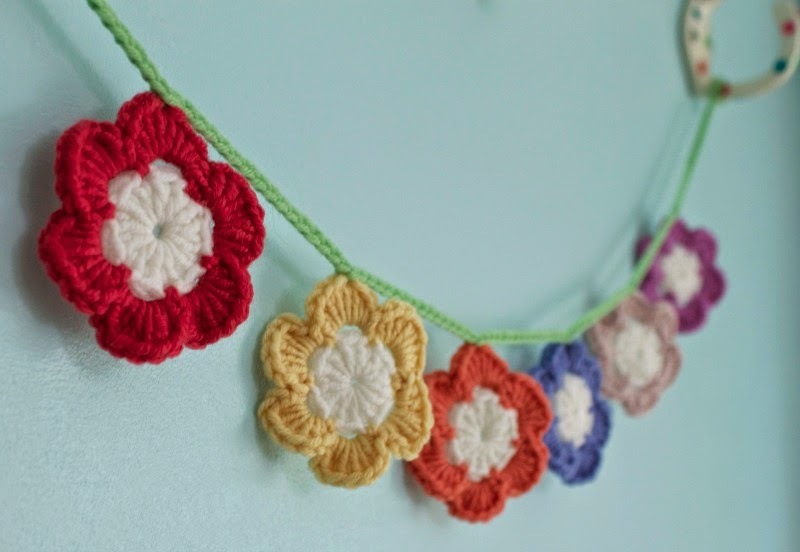 When I was asked to join in with Stitch Craft Create's blog hop to review a new crochet motif book, I didn't have to think twice. I think you'll love it! 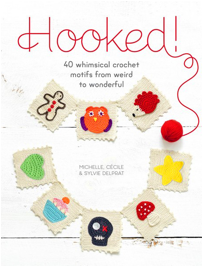 Written by crochet designers Michelle Delprat and her daughters, Cecile and Sylvie, Hooked! 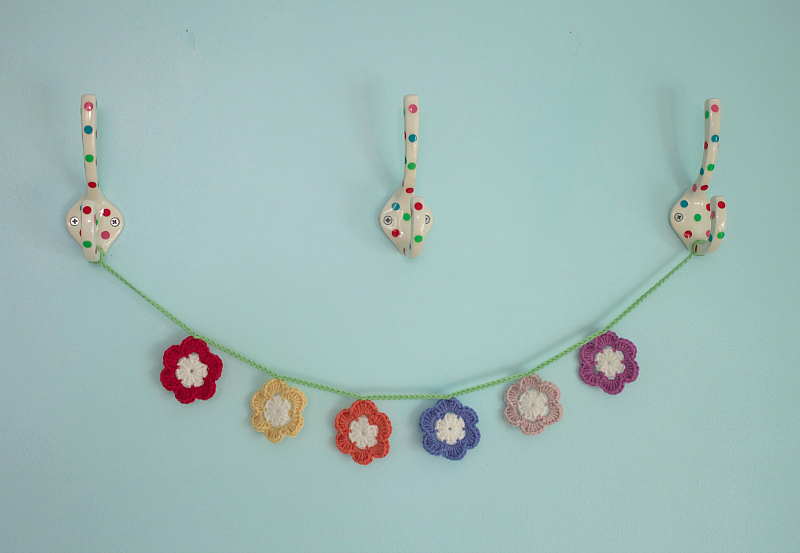 is a veritable buffet of crochet motifs. In my opinion, it commands just a basic knowledge of crochet and there are some excellent stitch illustrations at the beginning of the book. It is attractively uncluttered and the patterns are set out extremely clearly. Most of the patterns suggest working with a teeny hook (2mm) but, being the contrary person that I am, I favour a 4mm hook and a larger result. 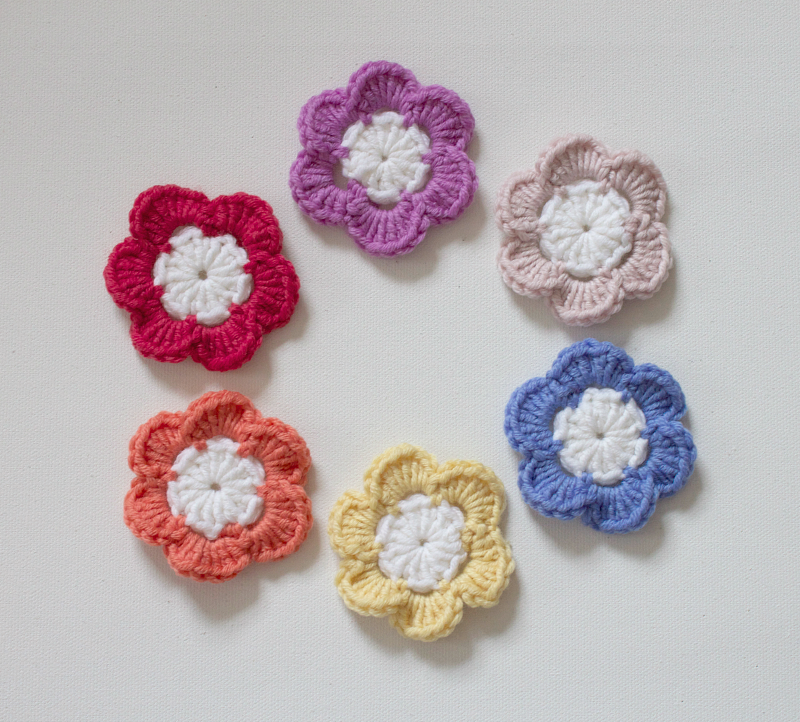 I'm sure it won't surprise you to learn that I picked a flower as my little project. They worked up super quickly and gave me an excuse to indulge in some fun with colours. I shall definitely make some more. Imagine them perched jauntily on a hat or scarf? Ooh, how nice would they look on a squared blanket? Before I get carried away, I must tell you about the 'blog hop'. Do take a peek here to find out who else is joining in; you'll recognise some of your favourite bloggers and maybe discover a couple of new ones too. You'll also find out more about the book and I'm sure glean a few creative ideas to add to your never-ending to-do list! 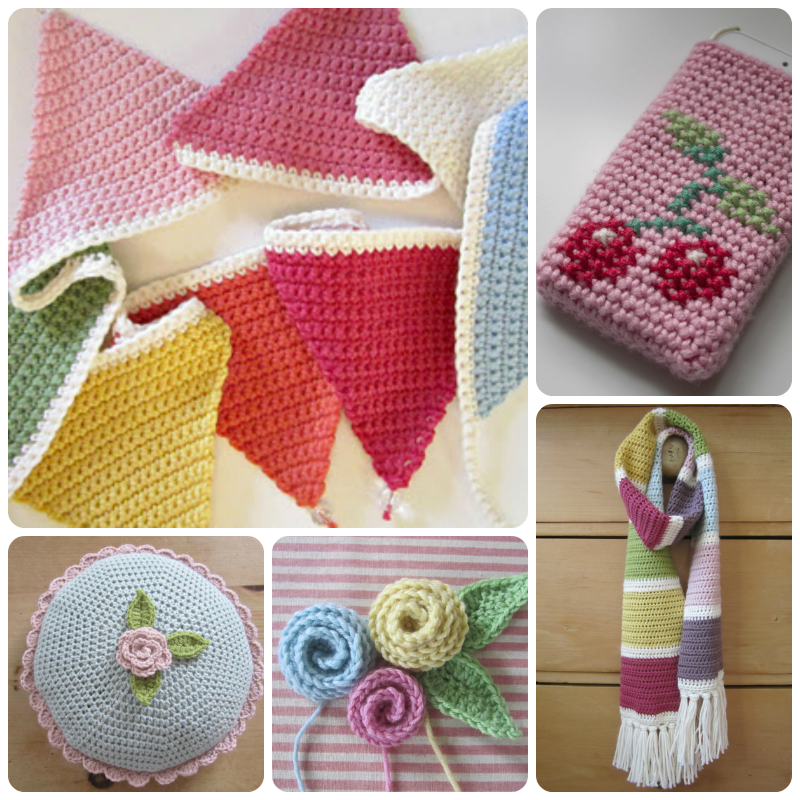 To celebrate the upcoming release of Hooked!, the lovely people at Stitch Craft Create are also running a competition where you can win a free copy of the book and a bundle of crochet goodies to boot. For full details, see their blog for more information. The book looks like something I could do with as I can only do the basics. Very pretty, the more I see of this book the more I want it. 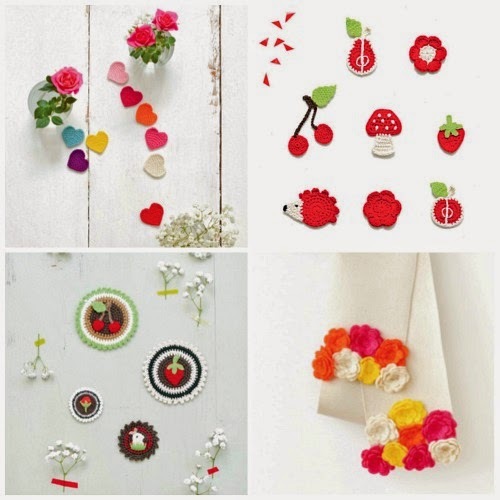 I must say this book does look tempting.Love your flower garland and those wall hooks so pretty.Thanks for sharing.